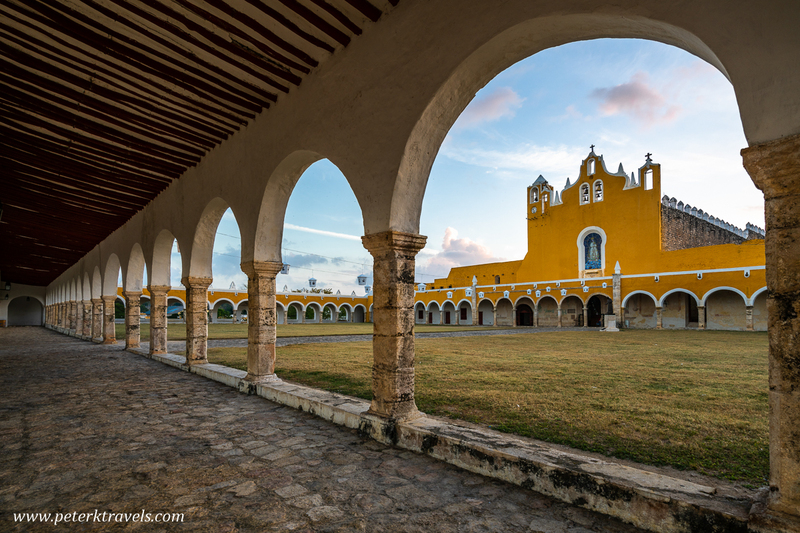 I spent one night in Izamal during my December 2018 trip to the Yucatan. I had taken a day trip to Izamal from Merida back in 2013, and really enjoyed the town. This time around, I was hoping to be able to get some sunset or sunrise photos of the Convento de San Antonio de Padua. The Convento was finished in 1561, with much of the construction material taken from local Maya temples that the Spaniards destroyed. The atrium of the Convento is said to be the second largest in the world, just after the Atrium of St. Peter’s Basilica in the Vatican City. 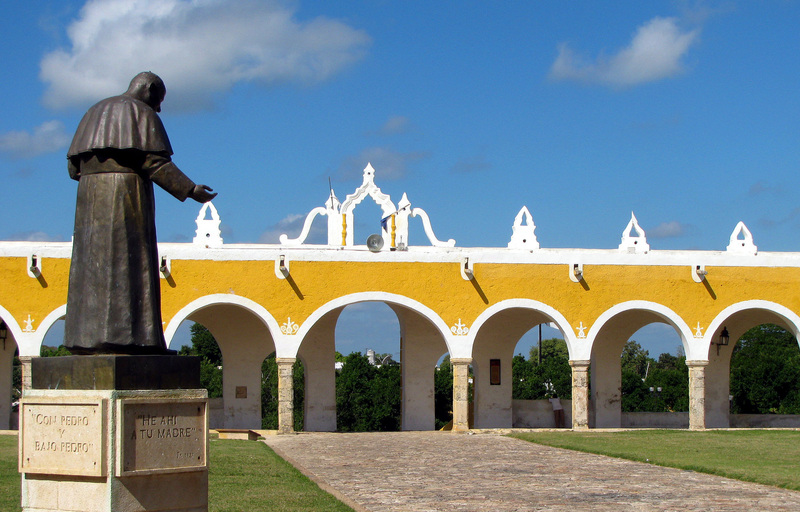 Izamal is a very pleasant town where most the city is painted the same shade of yellow. It was warm, sunny, and the perfect antidote to cold, gray, midwestern winters. I was surprised how busy it was — I guess we weren’t the only people visiting for the holidays. Here’s an early morning shot of the Convento. The sun was coming up behind it, but we didn’t get much color in the sky, unfortunately. 2 Responses to "Early Morning in Izamal"
Love this photo! Izamal never gets old. I’m so jealous that you get to travel so much and visit some.of my favorite places. Thank you! I get so far behind on this blog, I’ve been to Mexico again already since these Yucatan photos were taken in December!